The Three Towers (Montale, Cesta, Guaita), Republic of San Marino. 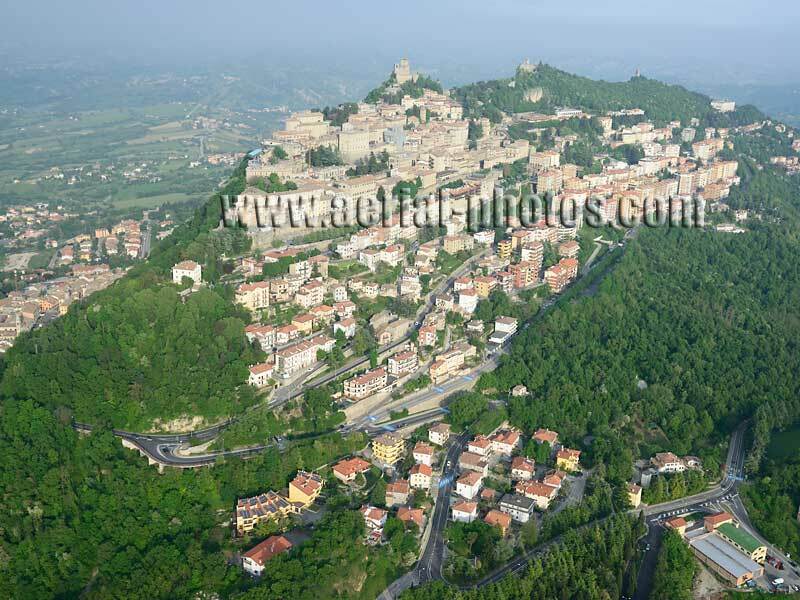 Paramotor flying over Cesta Castle (or Second Tower), Mount Titano (756m amsl), Republic of San Marino. Palazzo Pubblico and Basilica of Saint Marinus, Republic of San Marino. Old Town, Republic of San Marino.